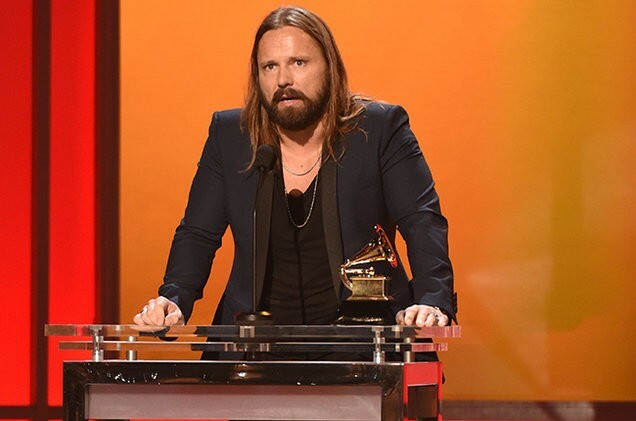 As we gear up for the Grammys, Getintothis‘ Steph Niciu takes a closer look at the man behind some mega hits, songwriter and producer Max Martin. When you think of modern pop music, artists such as Katy Perry, Taylor Swift and Britney Spears come to mind. These are artists that have songs with great hooks and lyrics that refuse to get out of your head. Many of us have come to think that it’s the artist who is responsible for big hits like Baby One More Time or Shake It Off. But it’s not that simple. See, pop songwriter and producer Max Martin is the man behind most of the best known contemporary pop songs without many people even realising it. The man is a hit-making machine. Max Karl Sandberg was born in Sweden in 1971. He’s had more number ones than the Beatles, Madonna and Elvis Presley. Martin has won more awards than you can shake a stick at, including Grammys (one for Producer of the Year) and the prestigious Songwriter of the Year Award. At this year’s Grammys, he’s been nominated for his work on Swift‘s 1989, Goulding‘s Love Me Like You Do and The Weeknd‘s I Can’t Feel My Face. Basically, every song he touches turns to gold. Martin always had a keen interest in music. Growing up, he learnt to play the drums, French horn and keyboard in school. In the mid 1980s he’d joined a rock band called It’s Alive, which didn’t work out. But through being in the band, Martin was introduced to the established Swedish producer Denniz Pop, who’d worked on the earliest hits by Ace of Base. Pop mentored Martin and by the mid- 1990s Max was working on hits for the Backstreet Boys that would launch them globally. One of the band’s hits was I Want It That Way. This ballad helped to put Martin on the map as a songwriter and producer who had an enormous amount of talent. Not only could he write songs that were sincere and emotional, but he was able to construct the perfect pop song that would have you hooked in years to come. Unsurprisingly, Britney was nominated for a Grammy for Best Vocal Performance and the video that followed the song’s release, featuring a young and fresh-faced Britney in her school uniform, became iconic and ingrained in pop culture. Martin‘s work with these artists helped to revamp pop music in the 90s. Soon every artist wanted to work with Martin because they knew they could make magic with him. When Max started to move away from teen-pop, he wanted to focus on showing a different side of an artist that would come to work with him. He did this with the likes of Kelly Clarkson and Katy Perry. For Clarkson‘s hit Since U Been Gone, he helped her move away from the image of an American Idol winner who released sugary pop tunes, and he gave Kelly a more rock-infused sound with lyrics such as ‘Thanks to you/ I get what I want.’ Thanks to Martin, Clarkson now had a strong, powerful and confident image. When Perry burst onto the scene eight years ago, she branded herself as a cheeky and bright artist who didn’t take herself seriously. Her songs were well-crafted, but there were none that she released that focused on anything deeper emotionally than kissing girls or going out partying in Vegas. Cue Teenage Dream. Martin‘s input on this helped to show a more vulnerable side to Perry. The song has a dream-like production and honest lyrics. But, most importantly, it’s a song that is a great example of Martin’s winning formula: verse, gradual build up and a HUGE chorus. As we’ve seen, Martin has created his own formula to guarantee success. He’s proved himself and there has been some leeway to allow artists to make a mark on their own tracks. But now, Martin seems to have made the decision to work more with the artist and what they want instead of trying to fit them into a mould. A great example of this is his most recent work with Taylor Swift. 1989 was Swift‘s first straight pop album. Before then, Taylor was a country starlet who drew inspiration from her failed relationships. In 2012 Martin helped Swift begin her transition into the pop world with I Knew You Were Trouble, which featured on her fourth album, Red. Taylor was probably sick of writing about all those ex-boyfriends all of the time, but liked the pop genre, so she decided to stick to it with it for 1989. Good thing that she did, really. Martin let her personality and authenticity as an artist shine through instead of imposing anything onto her. We can notice this shift in Shake It Off, which was co-written by them both, as it’s much more about Taylor and less about Martin‘s influence. It’s a gem, a cheeky and playful song that is jam-packed with horns and claps. It makes you not give a tiny rats arse about what people think of you, which is something that we all need reminding of. So there we go. Max Martin is the man behind the pop hits. He’s evolved as a pop songwriter and producer over the years. Martin‘s developed his own award-winning formula, but he has also responded to the music industry’s need for artists to be authentic with their music. All hail, Max Martin.